Clarence McKinney is a well known figure in Houston. 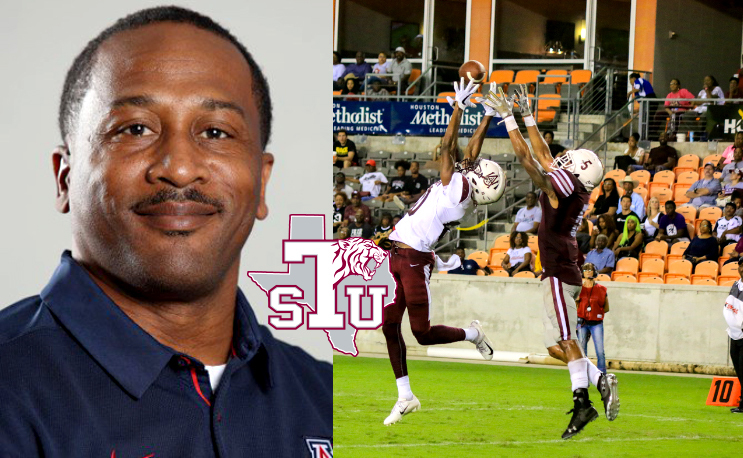 HOUSTON- Clarence McKinney is returning to Houston to become the next head football coach at Texas Southern University. McKinney, who has served as Associate Head Coach and Running Backs Coach at the University of Arizona in 2018, has an extensive history in the Houston and 3rd Ward area. He was an award-winning Head Coach at Jack Yates High School prior to joining Kevin Sumlin’s staff at the University of Houston in 2008. McKinney coached running backs for four seasons under Coach Sumlin at the University of Houston and also served as recruiting coordinator. He then joined Sumlin at Texas A&M, where he was the running backs coach for six years. In 2016, the Aggies produced one of its greatest rushing seasons under McKinney’s direction. In addition to his running backs coach duties, McKinney served as the Aggies’ Offensive Coordinator and play-caller for the 2013 Cotton Bowl and the 2013 regular season. Under his leadership, the Aggies led the SEC in passing, scoring, and total offense, while setting school records for passing yards, touchdowns and completion percentage. Prior to Texas A&M, McKinney served as Houston’s recruiting coordinator in addition to overseeing the Cougar running backs. His four-year stay at Houston was highly successful as the Cougars compiled a 36-17 record and played in three bowl games. UH posted double-digit wins twice during his stay, including 2011’s school-record 13 victories and bowl triumph over Penn State. During his years coaching high school football, McKinney compiled a 30-8 record at Yates, and he received several accolades, including being named a 2006 Gordon Wood 4A Coach of the Year Finalist. McKinney also served as an assistant football coach at North Shore High School (2003-05) and Booker T. Washington High School (1997-2003) where he was named the 2003 Houston Coaches Association Assistant Coach of the Year. Under his leadership as head and assistant coach, McKinney helped many young men receive college scholarships and pursue their football dreams. McKinney played football for three seasons at Montana State, before transferring to the University of Mary (ND) where he received his degree in elementary education. He later earned a master’s in educational administration from Prairie View A&M in 2002. McKinney and his wife, Jakmica, have three children, Britney, Atallah and Quran.